My last 3 days of work have been out in the field. 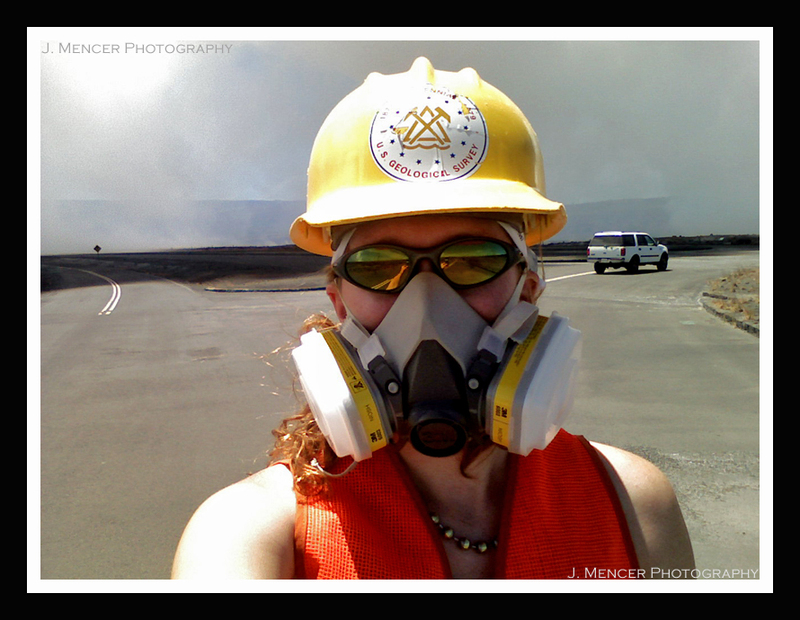 We’re in the midst of a levelling campaign here at the Hawaiian Volcano Observatory. It is by far the most expensive data collection that is undertaken here in terms of sheer man-hours, and it’s not easy to execute. We’ve gone out in crews of 4 or 5 for the last week to take measurements on different “level lines,” (pre-measured routes) around Kilauea. After the data has been collected it is compared to last year’s data to detect any changes in the surface of the volcano. It’s known as dry-tilt, or single-setup levelling. SSL is the more correct name for what we’ve been doing. The most exciting part of the whole process for me has been the location. I finally had the opportunity to go into the sections of Kilauea’s caldera that have been closed to the public since the March explosion events. Here’s the plume from nearly underneath of it. 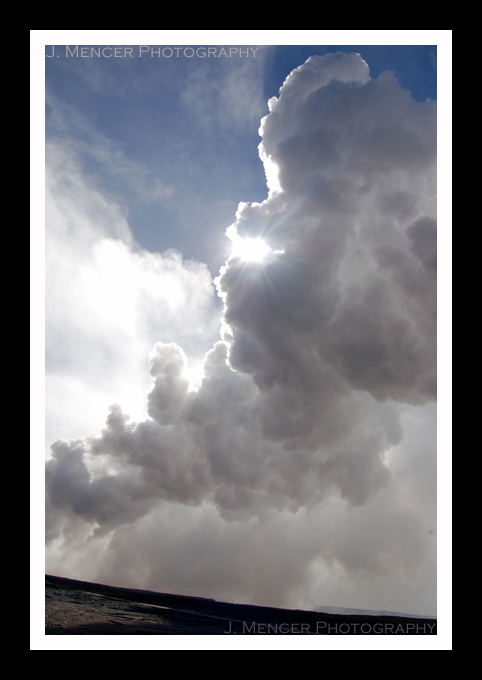 Who thought that poisonous gas could look so beautiful? 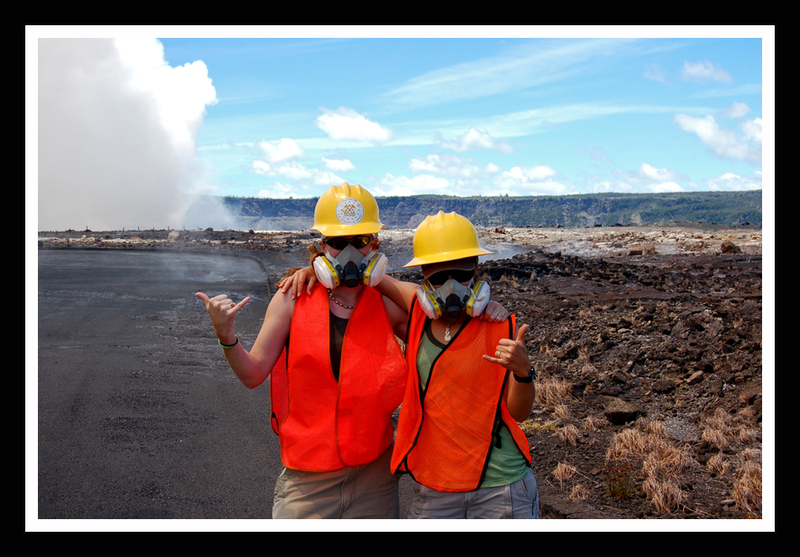 Due to the lethally high concentrations of sulfur dioxide in the plume’s immediate vicinity, we have to wear something special to do any field work nearby. Now THAT is a fashion statement. I tried in vain to stop myself from saying, “Luke, I am your father!” repeatedly. The gas masks filter enough noxious fumes to allow us to work in SO2 concentrations up to 10 times the levels considered safe for breathing. The parking area behind me has been closed since the March explosions. It is coated with a fine layer of explosive materials now. That’s the HVO Deformation Group truck in the background. Here is my levelling crew from today. 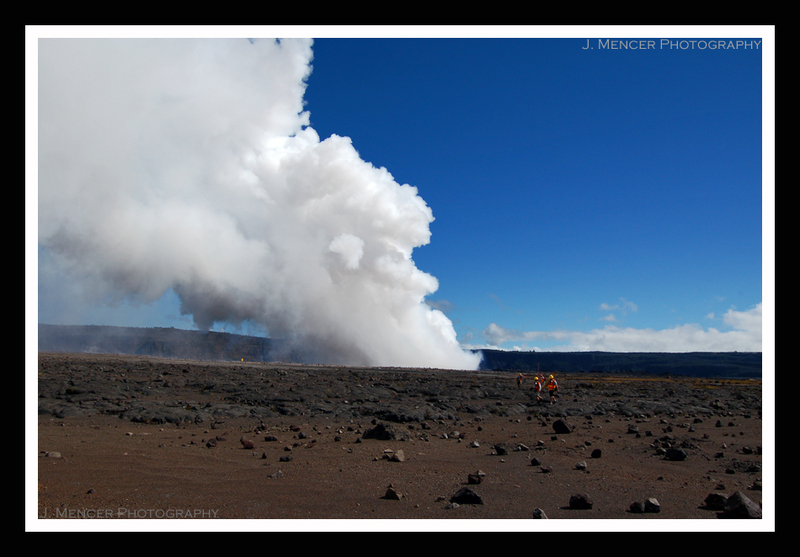 We were right next to Halema`uma`u’s open vent, which is the origin of the plume. It was incredible. Here’s one more shot of the amazing gas mask getup for good measure. We have to wear the helmets in case another explosive event occurs. The first notable one since April happened last Friday, so the safety precautions are certainly necessary. Ashley and I aren’t phased by the volcano behind us, however. We’re still sending that Aloha spirit your way!